Events by Elizabeth Ashley | Say Yes to a DJ At Your Wedding! This Feature Friday is all about US Party Patrol and all they have to offer. Their roots are here in Boone, NC making it the perfect fit for you wedding here in the high country. 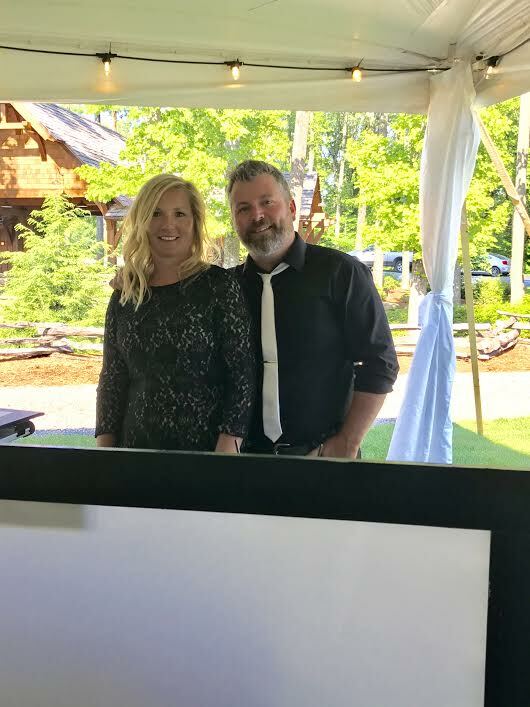 The owners are Jimmy and Kimberly Towle who work together to create the perfect balance of music and lighting to make your wedding and reception the best it can be. These two are extremely personable and helpful from the beginning of the planning, to the end of the night, and everything in-between. They have the abilities to play anything you request and nothing you don’t! If you aren’t completely sold on having a DJ play for the wedding itself, they offer a package that is just for the reception. If you just need the equipment they also offer something called a SpinBoxx that they can deliver and pick up, giving you control of the equipment. If you are in need of some entertainment for your wedding, look no further than US Party Patrol!